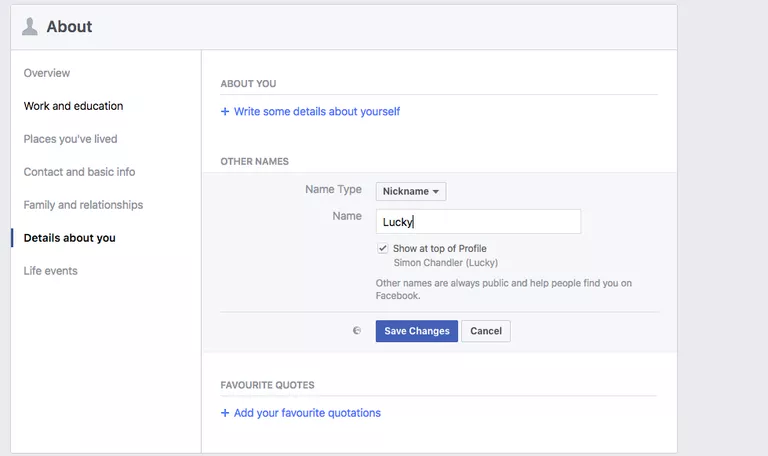 Whether it's because you've recently married or simply gained a new nickname, here's how to change your name on Facebook. The process itself is fairly simple, but there are few things to watch out for when editing your handle, since Facebook won't let you change it to just anything. That's all you have to do, and unlike with full names, there aren't any limits on how often you can change your other name. And to edit a nickname, you complete steps 1 and 2 above, but then hover the mousecursor over the other name you'd like to change. This brings up an Options button, which you can then click to choose between either an Edit or Delete function. 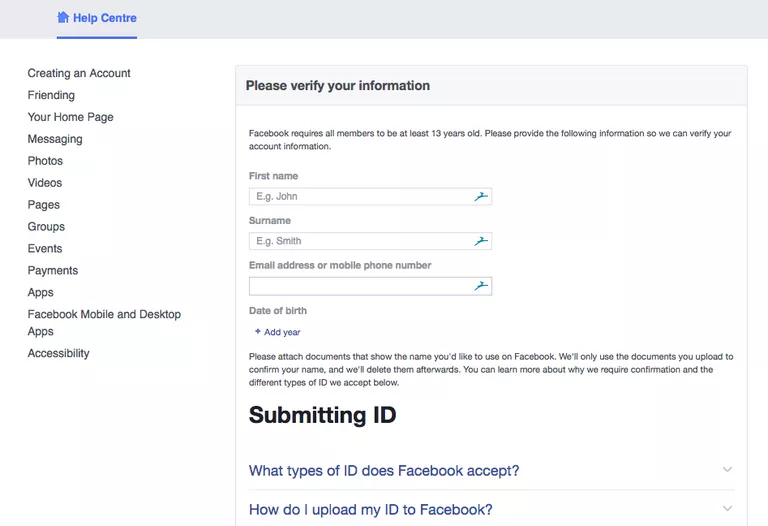 Users who have previously confirmed their name with Facebook may sometimes find it difficult to change it afterwards, since verification provides Facebook with a record of their real names. 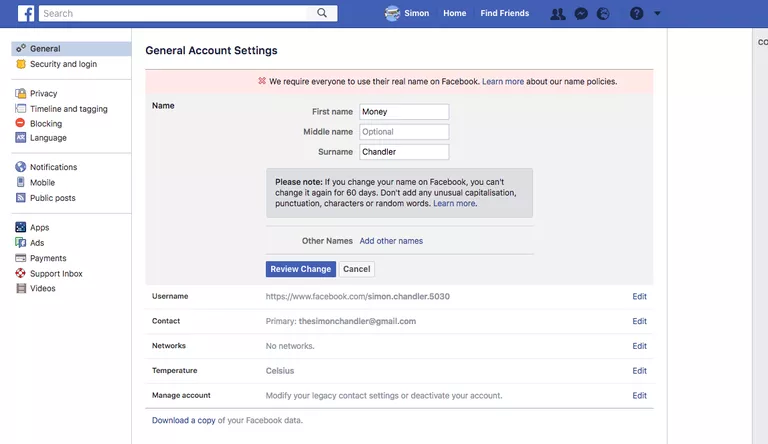 In such a case, users won't generally be able to change their Facebook name completely, unless they happen to have legally changed their name since first confirming. If they have, they will need to go through the confirmation process once again via Facebook's Help Centre.